I have had numerous requests for a connection test that allows a user to enter the specific server they are trying to connect to as oppose to a generic test that tests port and protocol access to an external server. I created a simple application that does just that, allows a user to enter a connection string to a server they are attempting to access. You may ask, how would they get the connection string? If they are having issues someone will need to send them the connection string (i.e. email, IM, etc…). This could also be used to test connectivity to a new on premise server. 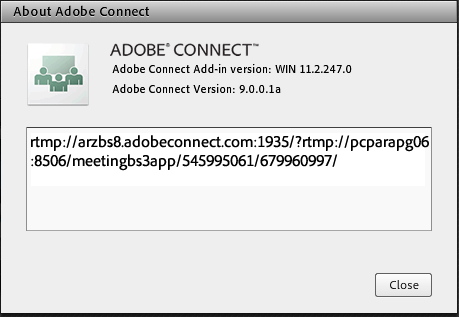 So how do you find a connection string to an Adobe Connect Meeting? 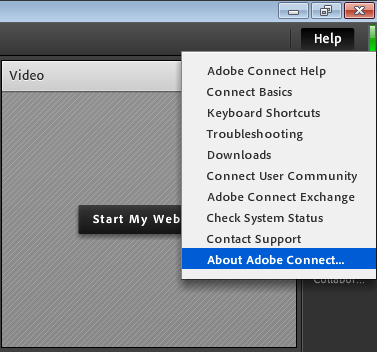 Simply have someone launch a meeting, hold down the shift key and select “About Adobe Connect” from the “Help” menu. 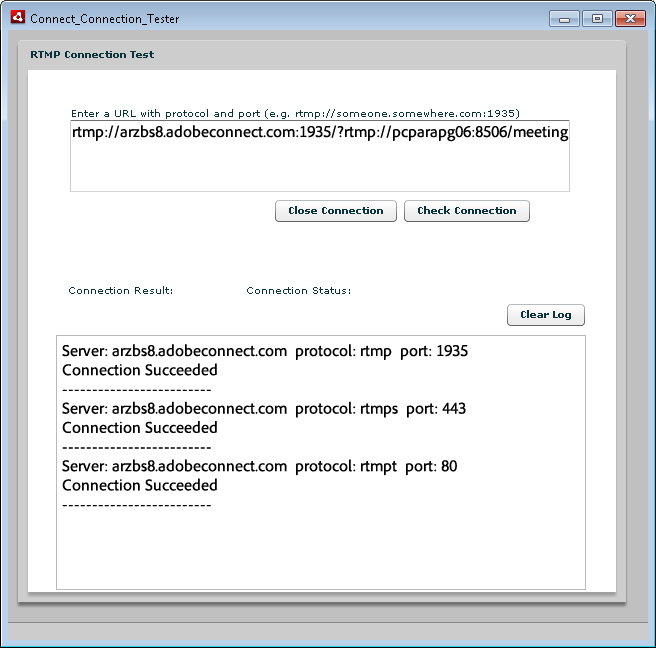 Find an Adobe Connect Meeting connection string. If you were holding the shift key you would then see the following dialog box. This application has not been extensively tested and is provided as is with not warranty or support. So how do you get the application? Simply fill out the registration at the following link. Once I approve the registration you will receive an email with a link to download the application.